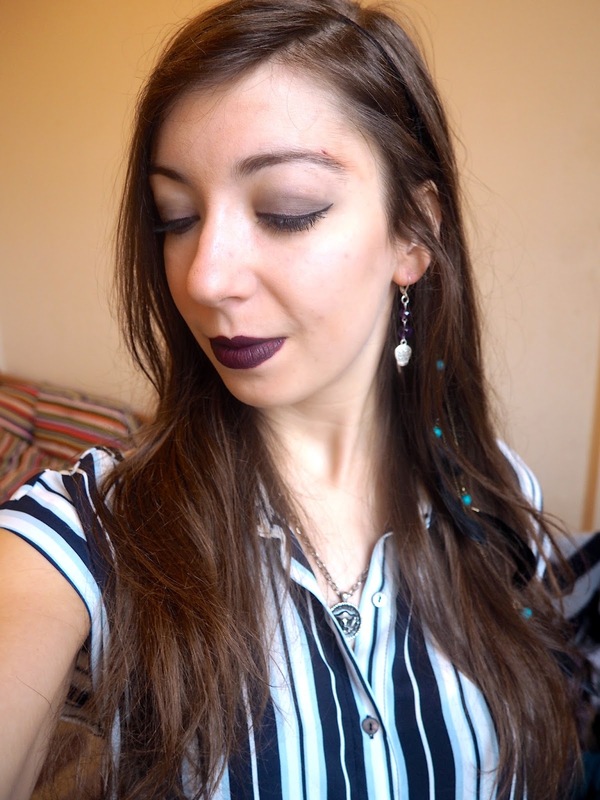 Yes, I'm channelling some pirate vibes today, for a Captain Jack Sparrow inspired outfit. As I've mentioned before, I'm trying to do these outfits out of items I already own instead of buying lots of new stuff, so I've had to go with black leather, where Jack tends to have more brown (a colour I rarely use). 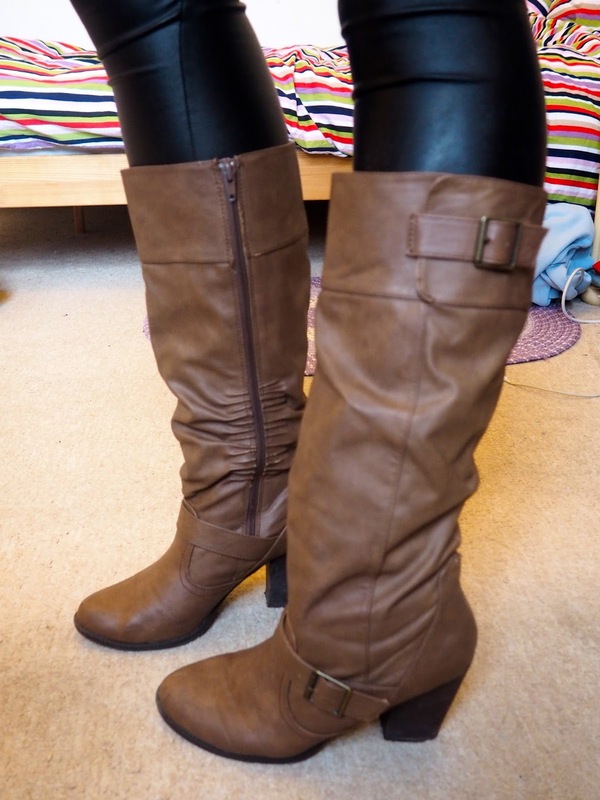 I thought the leather leggings with these tall boots were a pretty spot on combination, topped off with my leather jacket instead of the brown one he wears. I don't wear many white tops, certainly not shirts like he does, but the light colours in this one are pretty close, and I still thought it was the right sort of style for a female version of his outfit. I pulled out this feathered headband, as a nod to the many items woven in his hair, and added some salt spray to my hair too, and of course, had to go with some heavy, dark eye makeup - the dark lip felt appropriate too! I used a lot of accessories, since Jack has so many trinkets collected during his travels, and the medallion was the perfect finish to this look, since I bought it from the Pirates of the Caribbean gift shop in Tokyo Disneyland!